Every day, it seems, I read an article from an activist-captured media source that quotes the International Agency for Reasearch on Cancer’s (IARC) glyphosate position and ignores the negative reactions from other scientific institutions like European Food Safety Authority (EFSA), Germany’s Federal Institute for Risk Assessment (BfR), WHO-FAO, the America’s Environmental Protection Agency, the New Zealand and Canadian authorities, and the undiplomatic outrage of most of the scientific community. It is quite clear that the science defending glyphosate is not the problem; IARC’s intransigence, political bias, and bad scientific methodology is the problem. How can we fix IARC? It would be nice if we could ignore IARC’s erroneous excursion into anti-industry activism, but the NGO campaigners and organic food industry lobbyists have sanctified their glyphosate monograph to Biblical proportions. 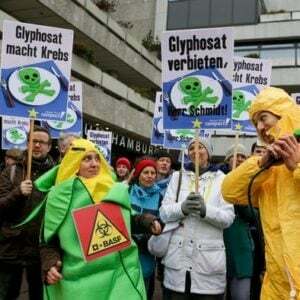 IARC themselves have taken a series of bold, undiplomatic attacks on the scientific establishment, with mercenaries like the Environmental Defense Fund’s Christopher Portier, seeming to be leading the campaign to ban glyphosate. 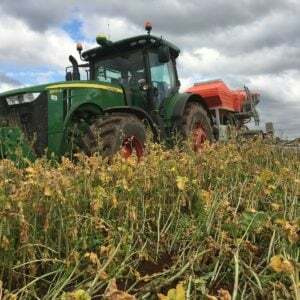 The activist scientists in IARC, from its head, Christopher Wild, to the head of monographs, Kurt Straif, to the lead author of the glyphosate monograph, Kate Guyton, have found inspirational zeal in pushing their findings against an important herbicide that farmers rely on. They seem to have drawn an obstinate line in the sand and they are willing to bring the agency down rather than retract a badly conceived, poorly written monograph. The more I pick at this scab called IARC, the more pus I see coming out. It is truly an infected organisation: infected by its hubris; infected by politicised activist science; infected by anti-industry bias; infected by an overt tolerance to its own hypocrisy. 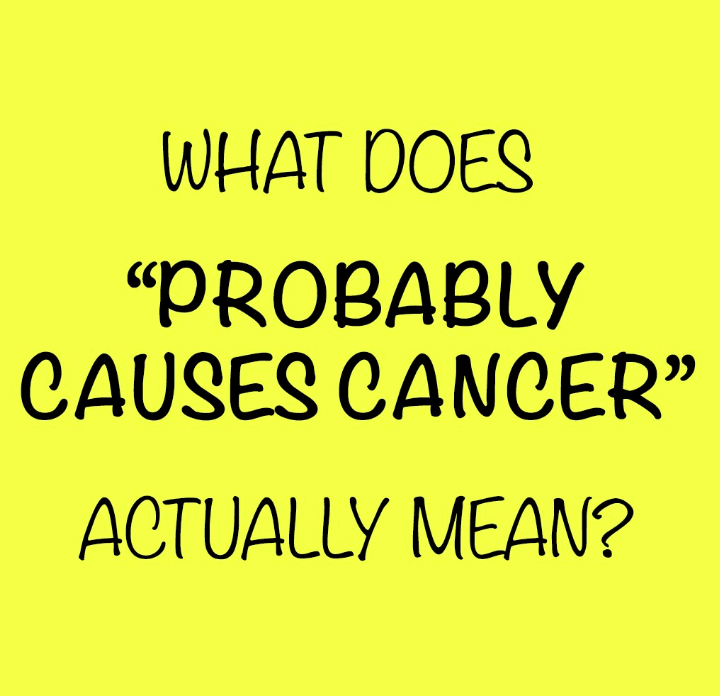 IARC badly needs fixing … but how? IARC’s glyphosate mess, from the conflict of interest, lack of transparency, bad science, cherry picking of studies, anti-industry bias to the aggressive, unscientific attacks on other agencies like the EFSA and BfR have all been well documented on my blog, The Risk-Monger, and elsewhere. But IARC, despite all of that, has claimed the high ground – that all of its studies were from transparent publications (an indirect smear at industry research). It seemed that almost every time Straif or Guyton opened their mouths, the first words that came out were “all of the studies IARC used were from credible independent publications.” No unpublished or non-peer reviewed research was included in their monographs because IARC does not do that, right? IARC does allow for unpublished, confidential documents to be considered in its review process. Take, for example, two working groups that will shortly meet (Monograph 118 and 119). Both of them have confidentiality forms because the task forces will use unpublished, proprietary documents. For the welding monograph, confidential, proprietary documents are acceptable. I suppose they have information that must link welding to cancer! So the IARC Working Group that concluded glyphosate was possibly carcinogenic could have considered unpublished research and data provided by industry. The data and research on glyphosate were there and IARC had every right to use the documents; Straif and Guyton just didn’t want to. The evidence in these documents (which industry had provided to other institutions seeking data like the EFSA and did not support the conclusions IARC had wanted to reach. So instead, the members of the working group pretended to take the scientific high ground. This is cherry picking at the worst level. The U.S. EPA report on glyphosate that came out on September 12, 2016, not only contradicted the IARC findings but essentially accused the cancer agency of not only of cherry picking from the studies but of not following a coherent scientific methodology (see activist science). Of the eight studies used by IARC (and referenced in the Lancet press release) to draw its conclusions, the EPA threw out all eight. This echoes the findings of the recent Dost publication that I analysed here. This is, once again, another critical damnation of IARC’s poor scientific credentials by another government agency. That IARC continues to pretend that this is not a crisis over its scientific integrity mystifies me! Let’s take a quick look at what the EPA thinks of all of this IARC cherry picking. The George et al. study was relied upon in the IARC glyphosate monograph, the paper states, “A glyphosate formulation promoted skin tumors in an initiation-promotion study in mice.” But the IARC press release, published months before the monograph, stated that George et al. was not adequate for conclusions on glyphosate. So, why then was this study added as a key reference in the IARC monograph? The EPA report described the deficiencies of George et al. paper, noting it was based on a “small number (20) of animals,” the fact it “tested only males,” and the paper lacked histopathological examination. The Bolognesi et al. paper was also used by IARC, which claimed that residents in several communities had increased chromosomal damage after spraying of glyphosate was done in several regions in Columbia. Before the monograph was published, one of the authors of that paper, Keith Solomon, claimed that IARC got the conclusion “totally wrong” stating they found no differences. Still, IARC used the Bolognesi et al. paper in its monograph. Either the IARC authors are blind or politically motivated (probably both and certainly neither scientific nor professional). The EPA’s view of the Bolognesi paper was that it was of a very low quality and not worth considering. The EPA considered the three studies (McDuffie et al., Eriksson et al., and De Roos et al.) that IARC used to justify the link between glyphosate and non-Hodgkin lymphoma (NHL) but found them to be inferior to the US Agricultural Health Study (AHS) study. This study tested over 57,000 licenced pesticide applicators and found no link between glyphosate and cancer. IARC chose not to consider this study (published before the IARC Working Group meeting). On NHL, the EPA paper suggested that the farmers’ exposure to diesel fume exhausts would likely increase the risk of NHL but was not considered by any of the IARC relied-upon studies. Shouldn’t someone in IARC have considered that? The EPA paper expressed astonishment at how poor IARC’s scientific rigour was. The last three studies that IARC relied upon in its press release were not found by the EPA to be statistically significant. Essentially IARC cherry-picked the studies with the conclusions they had wanted, themselves, to make, but all of those studies were considered as low quality, inadequate, insignificant or misinterpreted. 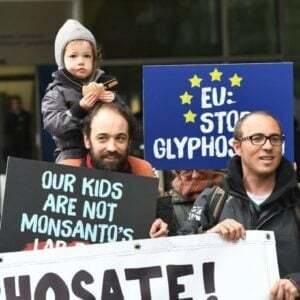 IARC’s glyphosate monograph, which all NGO activists reference to as a reason to ban the herbicide, is of a low quality and scientifically inadequate.In short, the glyphosate monograph has no business existing and should be retracted and should certainly not be used as a policy reference document. 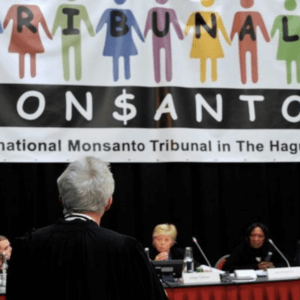 When IARC’s Kate Guyton, the lead author of this monograph, spoke at an anti-chemical NGO’s meeting in 2014, well before the working group was convened, she promised them that IARC would soon do a study that would show glyphosate to be carcinogenic, she was not relying on scientific evidence to make that claim; she was relying on her own political motives to make it happen. The first obvious thing that needs to be done is for the IARC glyphosate monograph to be retracted (by both IARC and the Lancet which carried the press release). But that is not going to happen so long as Wild, Straif and Guyton continue their activist campaigning. Logically, the next step would be for those three agitators to be fired (or in common institutional parlance, “promoted elsewhere”). That is also not going to happen—they are holed up in their bunkers for the long run. So can’t we just go to the World Health Organization and complain about the lack of integrity, transparency, and commitment to science and dialogue? Well, there really is little the WHO can do, because IARC is, as Wild proudly boasted, autonomous. IARC could drop a bomb in the centre of Geneva and there would be little the WHO could do. IARC was created 51 years ago when France pressured the UN to recognize an already existing cancer research center as part of the WHO. There was a vote in one obscure session and IARC was born. But the WHO has no control over IARC and the agency seems to use the UN logo and WHO moniker as a flag of convenience. (See a blog where I showed how Christopher Wild wordsmiths their relationship.) In other words, the WHO can exert no actual influence on the activist scientists leading anti-industry campaigns out of Lyon. IARC pretends to be part of an international body but does not behave with any responsibility to them. They are a sort of delinquent half-brother squandering the family’s reputation with ill-conceived acts of scientific debauchery. In order to clean up IARC, outside of shutting it down, those funding the agency would need to wake up to how public money is being spent. IARC is funded largely by 25 member countries as well as some donations from cancer funds and the Bill and Melinda Gates Foundation. When you think about it, IARC is not really part of the UN (with 193 member states) and its 25 members are not very indicative of the international community, but rather more of a rich man’s club. What would happen if one country, say the US or Japan, were to say to IARC, “Enough of this! Either start to engage all stakeholders, show some scientific integrity and stop getting caught up in non-transparent activist campaigns, or we leave the agency!”? If any government of the 25 IARC members would make that message public, then IARC would have to start behaving responsibly and correct itself. Postscript: Did IARC just get fixed? On 26 September 2016, Jason Chaffetz (R-UT), the chairman of the House Committee on Oversight and Government Reform, has demanded to meet with Francis Collins, the director of the National Institutes of Health, to discuss continued US financing of IARC. In the letter, Chaffetz describes IARC as an organisation that “avoids having to meet the strict scientific standards and government scrutiny afforded to science advisory committees in America”. Translation: IARC is not scientific. Chaffetz goes on to question whether this money is being well spent, but we shall find out when they meet next month. If the US discontinues its participation, then IARC will have to change—especially if other members follow the America’s lead. I think it would be prudent for Wild, Straif, and Guyton to tender their resignations before the humiliation of being responsible for IARC’s demise. And for whoever takes over the rump of that disgraced agency, I would recommend that the first thing that should be done is to retract the glyphosate monograph, … and then red meat … then hot drinks … and so on! This article appeared originally at the Risk-Monger site under the title “Glyphosate: How to fix IARC” and is being reproduced here with permission of the author.